My introduction to music came through my parents at a very early age, so much so that I begged them to take me to a Jethro Tull concert at the ripe old age of three. The experience so affected me that shortly after, my parents bought me my first stereo and Dad would loan me his Jethro Tull CDs or even sometime buy two copies, gradually building a listening library. Slowly, I was introduced to a lot of other music as well, including Rush, Pink Floyd, Procol Harum, and many others and very early on, I developed two favorite albums – Pink Floyd’s The Dark Side of the Moon and Jethro Tull’s A Passion Play. The reason why these two records resonated with me was that they were somehow more than music; they spoke to me as records that carried a profound and deep meaning, even if I didn’t exactly understand what that meaning was. An early musical epiphany came when it occurred to me that any money that I received for birthdays, Christmases, etc could best be served if it was put towards purchasing music; from this time on, I began purchasing music on a regular basis and slowly began to amass a collection. At age 11, I picked up the flute and joined the school band. By the time I was 13 or 14, I discovered Frank Zappa and he became favorite artist #2, behind the mighty Jethro Tull, of course. It seemed like every week, I’d visit a local music story and purchase Frank Zappa albums. Around age 15, I sat bored at my home one summer night. I asked my dad if he had anything great in his collection that I hadn’t heard yet; he moved toward his large collection and pulled a mysterious album with a frightening screaming face on the front cover. He put the disc on and what followed was “21st Century Schizoid Man”. 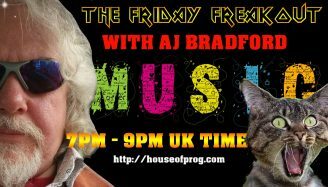 I sat aghast, blown away, and totally transfixed by the incredible sounds emanating from the stereo – I was hooked on prog. Shortly thereafter, I acquired the entire King Crimson catalogue, and began perusing my local record store for anything prog; ELP, Yes, and Genesis soon found their way into my collection. I thought I had acquired every prog album ever made until one night, seated in front of my computer and taking my Pandora station out for a test drive, a piece called “The Boys in the Band” appeared and I found myself in the hands of musical brilliance once more. I swore this music had to be contemporary; it sounded like nothing else! When I discovered that this was by a group called Gentle Giant, who operated in the 1970’s, I soon had to own everything they had released as well. This research led me to ProgArchives.com where I discovered countless artists, including Van der Graaf Generator, Magma, Can, Henry Cow, Gong Comus, Caravan, Phideaux, Univers Zero, and countless others that have become favorites. Around this time, I found myself involved in high school radio. Though at first, I was allowed to play whatever I wanted (my regular playlists included Tull, Zappa, and Rush, alongside artists like ZZ Top, Robin Trower, and Richard Thompson – I really just played whatever I felt like! ), soon the automated computer DJ came and I now had to play such beloved classics as Britney Spears, Lady Gaga, and The Black Eyed Peas. In short, I was miserable. 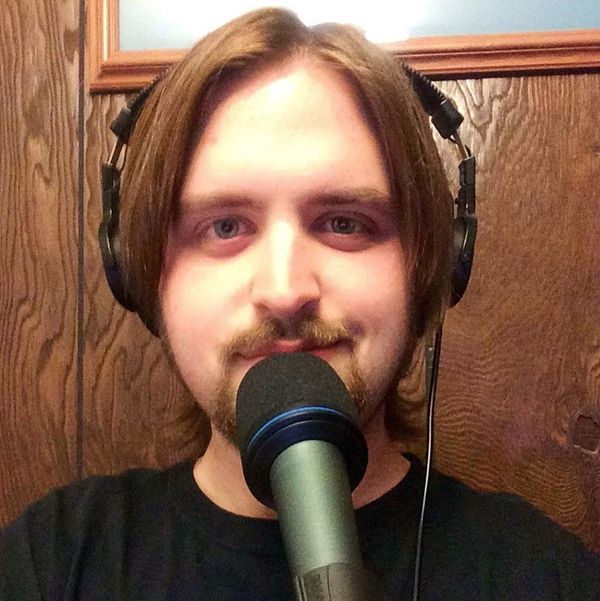 I approached my teachers and presented them with my ideas to run my own show, a Progressive Rock radio show, where I played all of my favorites. 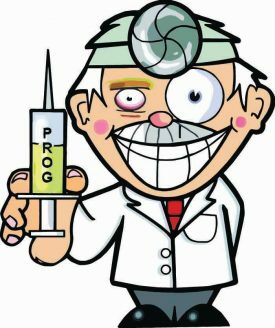 As I was feeling particularly imaginative that day (and I felt that it was an original idea), I called it The Prog Show. Later, in college, I moved The Prog Show to the university’s radio station where I produced two shows (my own and a friend’s) and hosted the next generation of The Prog Show, the also imaginatively dubbed, The Prog Show with Ian Beabout. This lasted for about a semester, but was mostly unsatisfying due to the strict format my show had to follow (breaks every 15 minutes – try fitting prog rock into 15 minute chunks; I chopped up “Supper’s Ready”, “Thick as a Brick”, and “A Plague of Lighthouse Keepers” to conform – a fact I’m not proud of). Shortly thereafter, I found myself at the North East Art Rock Festival (NEARfest), where I found myself immensely enjoying the likes of Änglagård, Il Temptio delle Clessidre, Mike Keneally, Aranis, and Gösta Berlings Saga alongside classic acts like Renaissance, UK, and Van der Graaf Generator. A new vision was born when I realized that the modern scene was alive, vibrant, and very, very progressive. I watched a great little documentary called Romantic Warriors II – A Progressive Music Saga About Rock in Opposition and I became hooked on avant prog. Soon Thinking Plague, Miriodor, Cardiacs, Diablo Swing Orchestra, Guapo, Chrome Hoof, MiRthkon became established favorites of mine, just as much as the giants of classic prog. This vision was given a chance to thrive when I was offered a show at www.progrock.com. Called Prog Rock Deep Cuts, the show was designed to highlight the lesser-known and rarely played progressive rock gems, both classic and modern. The experience at progrock.com gave me a chance to find a voice and a devoted audience and to spread the word that progressive rock is alive and well. 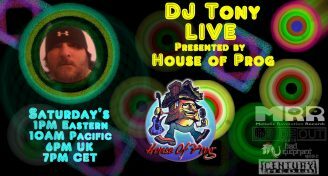 After serving nearly a year at progrock.com and producing 42 episodes, I have now graciously accepted a position at houseofprog.com and I look forward to bringing my take on this unique, wacky, and highly creative genre we call progressive rock!